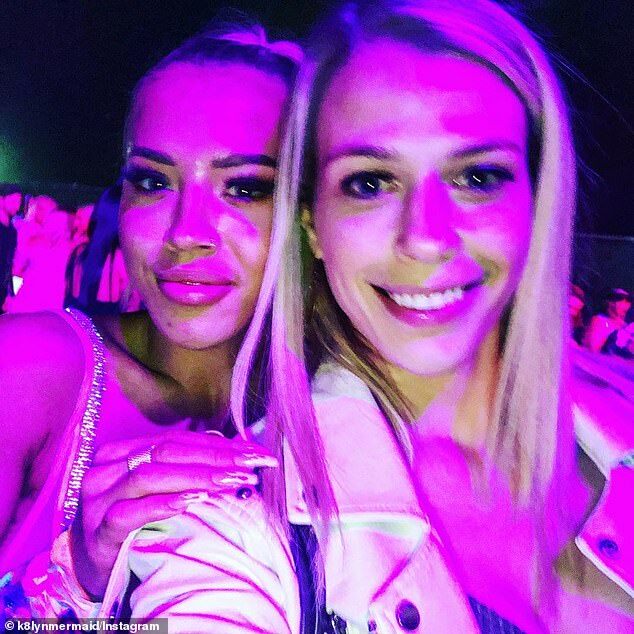 She may not be performing at Coachella, but Instagram model Tammy Hembrow, 24, was the main attraction at the annual Indio festival this week. And according to former Seven Year Switch star Kaitlyn Isham, who also attended the LA-based event, Tammy was in such such hot demand that she even brought security detail to protect her from unwanted attention. Speaking exclusively to Daily Mail Australia on Tuesday, Kaitlyn revealed exactly what it was like to meet Tammy before she was whisked away by her handler. 'I'm waiting to get into an exclusive after-party and sure enough an angel with the perfect a** and blonde ponytail walks by!' Kaitlyn explained. 'I'm like holy s**t it's the Australian Kim Kardashian! So I run past a line of people who [sic] I talk to her. She was so gracious and sweet! We took a selfie,' she gushed.